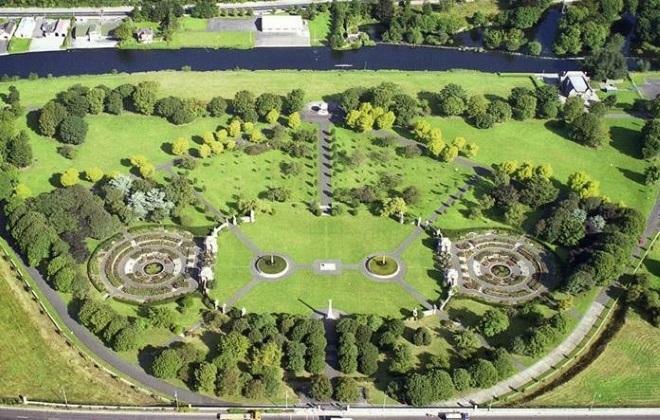 The Commissioners of Public Works in Ireland are seeking proposals from an architect-led team for the new pedestrian and cycle bridge, which will span the River Liffey and connect the war memorial gardens and an existing cycleway. The design brief will also include a formal ceremonial entrance to the garden and an open plaza linking this entrance to the bridge for ceremonial occasions. The memorial garden, designed by Sir Edwin Lutyens, commemorates the estimated 49,400 Irish people who died during the First World War. Lutyens’ original concept design for the gardens included a three-arched bridge spanning the Liffey. The current access point is described as confusing and ill defined; many people have trouble locating the gardens. The bridge and new formal entrance to the gardens are expected to attract a greater number of visitors. The new bridge will be positioned at the location proposed by Lutyens, which is aligned with the main axis of the gardens. The design of the bridge is intended to provide an appropriate contemporary response to the location and create a new landmark and public space for the city.